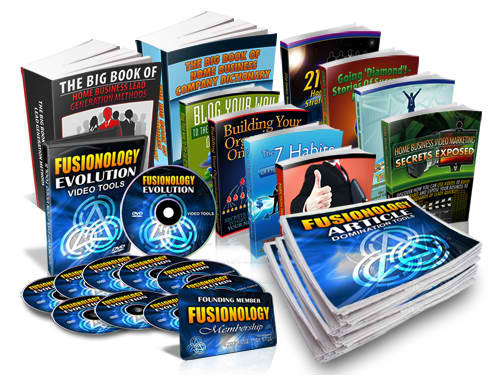 In this lesson, I will show you how to create your own PLR “MEGA PACK”and make unstoppable income when you promote them. 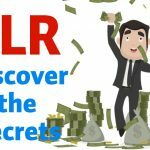 See for example, I earlier shared a whopping 100 Hot PLR products and responses have been so tremendous. Out of 11,000 people in my email list, I have sold the product to over 60 people at N5k each when I gave the 50% discount. If you could help me to calculate the amount I made, that’s 300K+ while enjoying myself by sharing what I know. I didn’t write any of these products, I didn’t create any of the videos or themes, but I made 300K+ from them by simply telling few people about it. It’s really simple to do it. Just talk about it and people will be interested. You create your own PLR “Mega Pack” by just packaging like 50 valuable eBooks and sell it for 2,000 naira. People will like to buy it because it’s cheap. They will buy even more if the eBooks are valuable. You can make serious money from it when you sell to so many people (this is multiplication effect). Hey! This is one way to start an internet business. 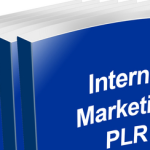 The most important thing is that most PLR products comes with free sales message. This means that if you are not good in writing, you can simply start marketing it using the ready-made marketing information. 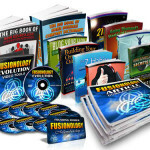 So, How do you create your own PLR “Mega Pack” ? I call it MEGA PACK because you have to make sumptuous to entice potential buyers to buy from you. 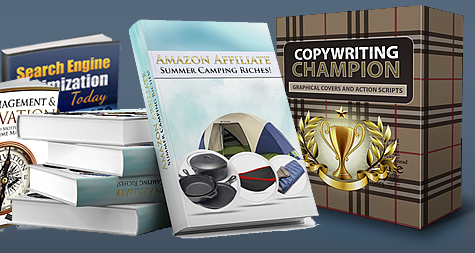 Simply gather enough PLR eBooks and group them as bundle and sell to others at a very cheap rate. This is what I am doing. The more I sell they more money I make because I keep all the sales money to myself. There are so many places to gather free PLR products. You can buy them from me, get from CLickbank, JVZoo or other PLR membership sites (be careful to avoid scam sites). The best thing for you to do is to buy them from someone you know already. Take a look at this offer. You will like it. When you Have your PLR Products… What NEXT? Once you have your products in your computer hard drive, go ahead to think of a good marketing strategy to sell them. For me, I use blogging to sell my products. 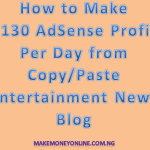 This blog makes at least N300,000 every month even though I do not have any display advertisement on it. I mean it! 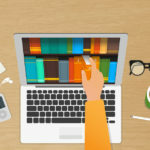 Simple create a blog for your product. It’s quite simple toget it done. Just signup with a good hosting company like Siteground or Dreamhost. Both of them will give you a free domain name along with your new hosting account. I like them because their servers are both located in developed countries like the US. So, they will not have issues with power failure and your site will never surfer any downtime. If you need a .ng domain extension, you can get it from Whogohost. You can then host the domain in the US using the web hosting companies recommended above. After buying web hosting, go ahead and install WordPress on your server. Make sure you use a theme that have a landing page. With your landing page, you will then host your ready-made marketing messages. There are so many free WordPress themes out there. But if your budget can support it, you can get a very nice marketing theme from Themeforest. That will be nice! With these, you are one step closer to success! One thing that you must do if you want to sell your products faster is to build an audience of potential buyers. You can do this by writing helpful articles about the topics. You can also support your effort with a very good email list. Use Mailerlite email software to create your email list. The first 1000 subscribers are free and it’s the cheapest I’ve seen online. With this list, you will notify your subscribers if you have a new product or new article on your blog. I think I ma exposing most of my secretes to you so that you can learn. Try these tips and you will be happy for yourself. That’s how to get started… So, take action now and you’ll be glad you did. If you do not know how to setup a blog, you can hire me. 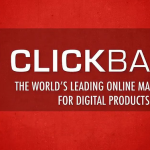 But if you are very curious, you can use the available information in this guide to create your own PLR “Mega Pack” and make unstoppable profit starting now. If you have question on this lesson, head over to the comments section below. But before that, decorate your social profile with this guide. Click the share button below. You can allow people to pay you via your bank account while you send the product to them via email address. I use this strategy to sell most of my digital products. Success! Hellow @Patrick, you can send the eBook as an attachment. Success! Pretty! A million thanks! Soon I will start paying more attention to my sites. I will keep keeping in touch! Palz hook on to this site it teaches in a manner that’s so simply appreciable that self-execution is nothing but easy!